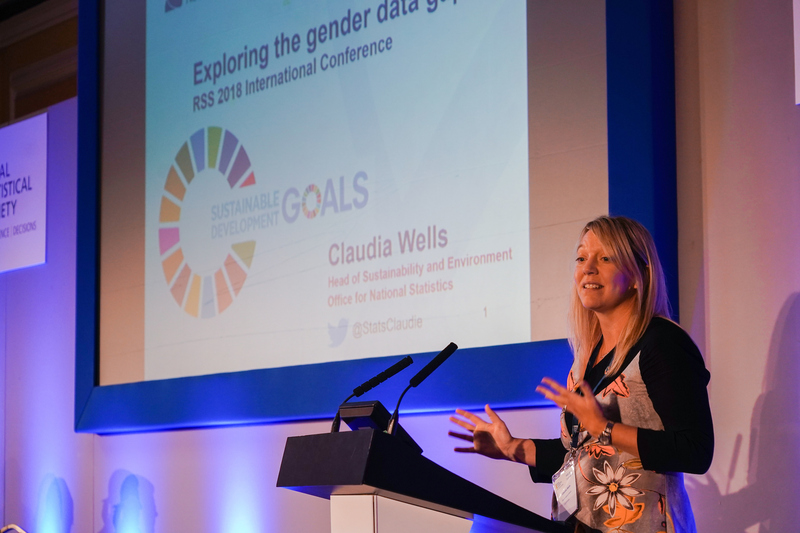 Earlier this month, the annual Royal Statistical Society conference in Cardiff saw almost a thousand statisticians from across the world of data descend on the Welsh capital. With the event just a few miles from our headquarters at Newport, the ONS presence was particularly strong this year. David Beckett reflects. I once heard it said that statistics means never having to say you’re certain, though an exception can be made when assessing my time at this year’s Royal Statistical Society conference. Over three days, attendees discussed all sorts of topics, from autoregression to z-scores. Of course, we played a prominent role in the conference, with a keynote speech being delivered by our very own John Pullinger. 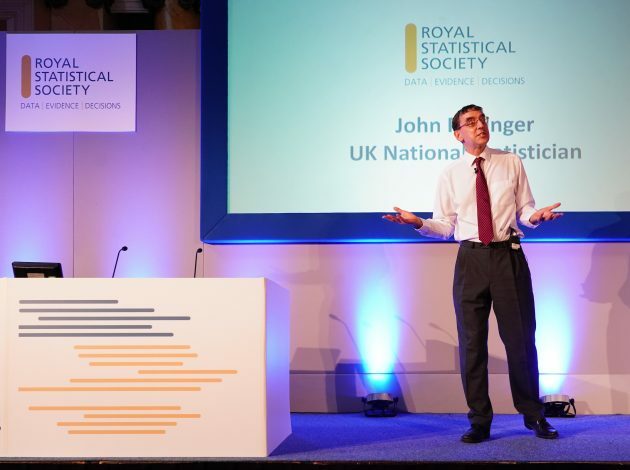 John’s speech, which can be viewed here, set the tone of the conference by reflecting on our role as statisticians in a time where “fake news” and the misuse of official statistics is so prevalent. In John’s words, the need for us to invest in those who can help us communicate, ensure that better decisions are made, and stand up against fake news every time we see it has never been greater. We proved the need for valuable statistics by showcasing some of ONS’ finest work! Our trade team addressed what they’ve been doing to strengthen the reliability and robustness of UK trade statistics, which will prove invaluable when taking decisions after Brexit. Our national accounts team shared their innovations in measuring economic growth, leading to the UK becoming only the second country in the world to publish monthly GDP estimates. Meanwhile, our international development team talked about the work we’re doing to strengthen the statistical capacities of other National Statistical Institutes (NSIs) and build our own ability to report on the Sustainable Development Goals, a particularly well-received topic given the global nature of the conference. This opportunity to share some of our best work with a field of international experts is an incredible opportunity, allowing us to cement our place as a world-leading NSI. It’s also a great opportunity for those attending to build professional links and learn examples of best practice from other organisations such as Her Majesty’s Treasury, the Bank of England, the Institute for Government, and the National Institute for Economic and Social Research. I also attended the conference having helped organise it as a member of the RSS Conference Board (much thanks must go to other Board members and the RSS Conference & Events Manager). Among other things it gave me useful perspective and insight into statistical work outside of economic statistics – nothing quite focuses your mind like having to chair a session on something you have no experience in. I can think of one session that mixed applications of the Hierarchical Hybrid Bayes model to census data from Mexico, with calibration estimators used by the Swedish Government, and automated cleaning of administrative sets here in the UK! However, something else more important John said in his speech really resonated with me as I was leaving the conference. This really is a time for our community to stand up and be proud. I was reminded me why I joined the statistical profession in the first place. His words helped me realise that few other organisations can lay claim to shaping our country the way we do at the ONS. 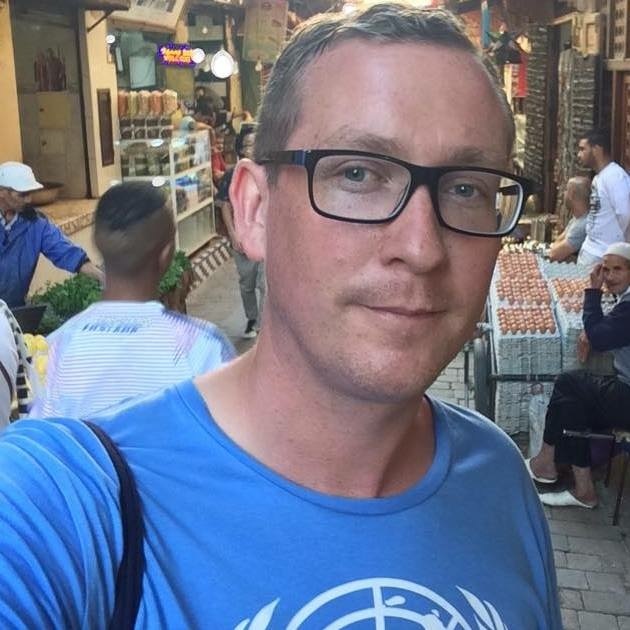 It’s easy to forget that when you’re so closely involved in the work on a day to day basis, but it’s made me look forward to next year’s conference in Belfast even more, and hope to see some of you there!